If people think this is a $40 game, what on Earth do you people think of your average 10 hour AAA game? . @NEStalgia Most people's sense of value in today's gaming world is shot. They think the only games that matter are those with 100+ hour long shelf lives. But not every good game is like that. I love Xenoblade, but I also love games like Metroid Prime and Doom 2016 which can be beaten very quickly in like 10 hours too. And then they'll say that a 10 hour campaign is not worth the $60, which I say nuts to that. It also makes me question what people want when they say there's no content in certain games like Mario Tennis Aces. Like, what do those people even want? Filler content like the minigames of the GBC/GBA games? At the end of the day, you're playing the game for the tennis. Even though the single-player isn't exactly lengthy at 3 hours (which is a legit complaint), that doesn't exactly diminish what it sets out to do with the gameplay, and it's still great at what it does. Same for a game like Overwatch (even if it's not my cup of tea), which has NO single-player. Sure, OW is being sold for $40 as a base game, but it's all about the shooting and not anything else. The other arcade game modes are also filler. Yet they'll say that's worth the price but not Mario Tennis? Yeah no lol. I paid $20 for OW and I still felt like I wasted my money, but I don't regret my $60 purchase of Aces. I blame Steam/etc's "race to the bottom" pricing model that completely destroyed any semblance of value in our games. Like why should I buy any Sony game at launch if they're going to cut the prices so heavily later on? @darkfenrir I'm not an online gamer... But Splatoon sucked me in big-time...200+hours between the two Splatoons. But then there's fighting games (excluding smash)...tekken 7 arcade mode is, what, 25 minutes each time through? But the base plus 2 dlc seasons is an $80 game. It's infinitely playable like it's coin eating arcade cousins. And we won't even talk sfv pricing (with adverts!) . Pokemon is still a largeish rpg. Maybe not xc2 or Skyrim sized, but big. My only critique to why i kind of regret buying Mario tennis as too shallow is the online tournament mode. It's the games main mode, but features only one map, wasting all those wonderful maps the game includes. I found that out after buying and ended up not really playing because of that. It needed a better online or single player mode to utilize all that content rather then letting it languish in vs modes only. That works be like ssbu only using 1 map except in vs battles. But yeah, otherwise, i agree. Though i forget that Pokemon used to always be $40..... So maybe people got used to the pricing. I never really knew why the #1 franchise in gaming for an automatic $10 discount, though i sure wasn't complaining. 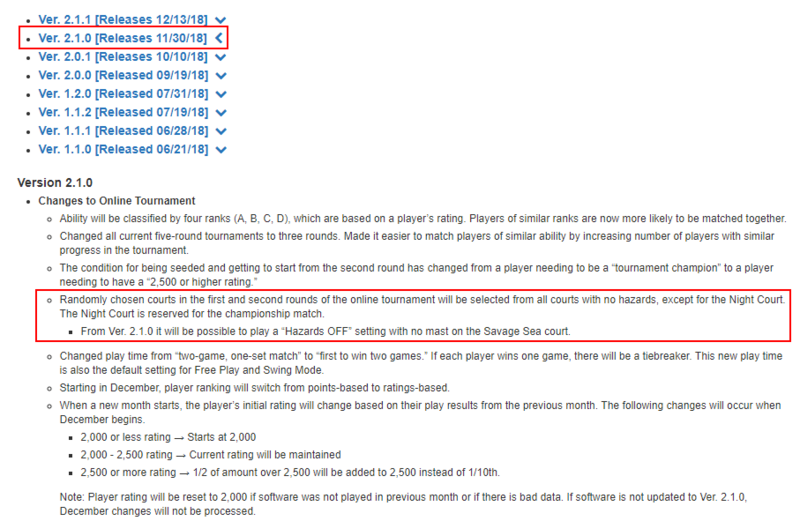 @NEStalgia You might like Aces more then, because there were patches that now let you play in all of the courts in tournaments. The finals is still Marina Stadium at night, but still it's a lot more diverse now. Most of Aces' problems were not the lack of content, but a lack of QoL and options like not being able to play a full traditional tennis game. But yeah, I don't mind 10 hour games. Or even 5 hour games (at $60) if the overall experience is so good and replayable. Nice, punchy experiences are always welcome. It costed me 40 dollars brand new on day one, thanks to promotions and some "we are sorry" free Amazon money I got. As I say, a good game will always feel too short, and a bad game will always feel too long. Late but Clefairy was originally supposed to be the mascot, if I'm not mistaken. That plus the (in-universe) popularity of it and you've got your spot in the fanclub building. It has always been the "super popular one" in the earlier games themselves, so it got a bunch of spotlight in sidequests and the more involved NPCs. Like, the fanclub in red and blue had some importance to it, mount moon's a big deal for the city with the first gym/the museum which itself stands out, that girl in saffron city is all over Clefairy and she gets a small roll in the post-game in gold and silver.. Heck, Whitney's gym has platforms in the shape of Clefairy in it. You really have to try to not see anything about Clefairy in the old games and as others have said it got a lot of good stuff as the battle mechanics got expanded and new things were introduced. @EvilLucario they finally added that?!? When? If been waiting for that, kept checking NLs aces related posts for it and it never showed up. That's precisely what I expected from the game working the network test... That definitely makes it what i expected, now! So there's a lot more variety in the tournaments now. Anyways as for actual Let's Go discussion, my sister blew through the rest of the Elite Four and is currently doing postgame. She's actually enjoying it quite a bit, although I never asked how much compared to every other game in the series. @EvilLucario ah, so it's a newish change then. That's fantastic, shame i now have a huge backlog... That's the game i wanted it to be back in June! Sounds like it took 5 months to make the game what common sense would have made it originally. Shame on Nintendo for that, i feel like they rushed it out, Ubisoft style, incomplete, but at least it's now a proper game. If there's one lesson from all the game length complaints, it's how tedious and filler full Pokemon games have been until now. Keep the same game, remove the tedious time wasting, and it suddenly feels short and shallow to some... Despite being the same game. I haven't even played it again since I bought it. People can say they cut out the tedious bits but I personally feel they cut out way more. Catching 20 Pidgey to level up is still grinding guys. I wasn't impressed. I hope the new Pokemon doesn't embrace the changes this one did. UM and US were better than this and all everyone did was complain about them. @saintayu sounds more like you haven't played it at all. @saintayu it's definitely still grinding, but it's a lot faster pace grinding than endless battles to whittle down health to get to the rng pokeball. This one skips right to the rng ball. And the box skips going back to the center to constantly heal and change party members to grind them. Otherwise, it's identical to any other Pokemon. If you don't like grinding in this one, i can't imagine you'd like it in any Pokemon game. @Tsurii I'm wearing the pikachu clothing set in direct response to you disliking Pikachu. I'm a Pikachu superfan now! Stock up on Ultra Balls, chuck 'em at full health 'mon. It still gets results. The only difference with the Let's Go games is mtoion controlled throwing. I know it's all differences of opinion and that, but... As much as I loved the journey, I still missed the battles. Except for the overly long time to get to the command menu from encounter start. I don't miss that at all. I'm standing with @NEStalgia here, I love that we don't have to fight every last pocket monster down to the minimum health for the capture and the experience. It really makes the grind so much less tedious and lets me cut to the good bits. I really appreciate the QOL improvements in this game, and hope they keep them in the main series and/or make another Let's Go game with another gen's Pokemon. Just started playing the Pikachu version of this game last night. This is my first-ever Pokemon game, so any tips are most welcome. I’ve just been through the forest and am now in the area where the first gym is. I’ve got about a dozen or so different Pokemon types, no idea what ones are ‘good’ or ‘bad’ or the most effective and what not. Think my party of 6 are all about level 8 to level 12 approx. Any suggestions of what Pokemon types to concentrate on and what I need to be doing to level up properly before tackling this the gym boss - Brock? - would be helpful. For an easy time, catch and level up Bulbasaur from Viridian Forest. Chaining catch combos (same Pokémon, no run always or different Pokémon) begins to give you more exp for your party.